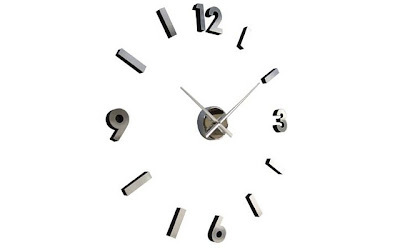 The Self Design Modern Contemporary Abstract Wall Clock is currently selling for just $29.99 on Amazon.com! You will be saving 40% off the listed price of $49.99 with this home furnishings deal. This self-adhesive wall clock is 18" in diameter.